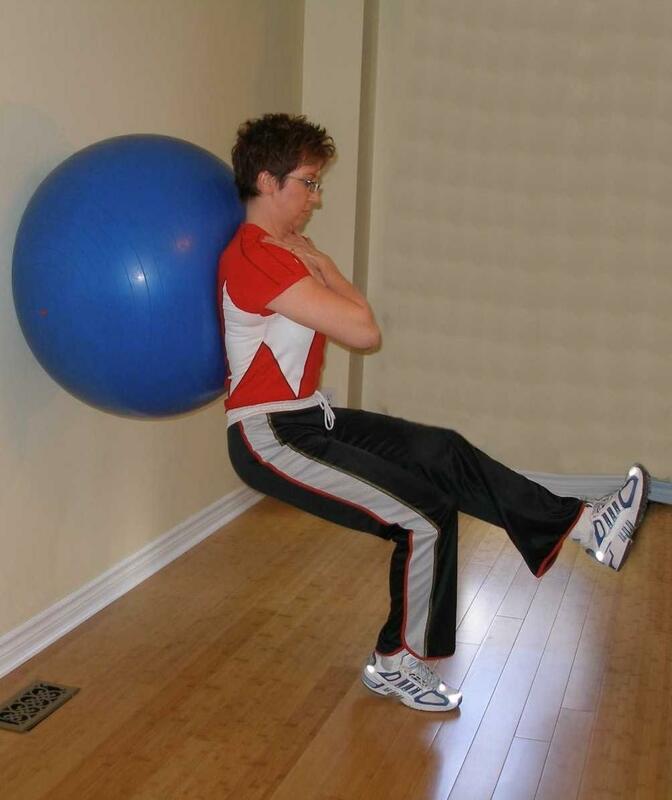 Ball exercises for climbers can address core stability and therefore the efficiency of transferring forces from your hands and feet to your trunk. Your ability to climb is only as effective as your weakest link. In climbers, we often see injuries in the hands, forearms, shoulders. By strengthening the shoulders and the stability of your trunk you make it easier for the muscles moving your trunk on your arms. Unlike a lot of other sports, climbing is different in that is has a larger anaerobic demand. Strength, power, stamina, and endurance is more important than speed, or other parameters requiring high cardiac output. A high strength/mass ratio to climb vertically. The only way to alter this is by increasing strength or decreasing body mass. Enough flexibility to maintain a position close to the rock face so as to reduce the moment arm and minimize the work necessary to ascend. Endurance in the upper and lower extremities. Through training of type I motor units we can maximize our hold time before fatigue sets in. The best way to train for this is to repeatedly expose the muscles to periods of high intensity exercise in the presence of the metabolic bi-products that result from anaerobic training. This is achieved through static exercises and slow movements held for long periods. Integration of the core in all movements to maintain stability in holding the centre of mass as close to the rock face as possible to reduce the resistance moment arm that exists between the limbs and the rock face. 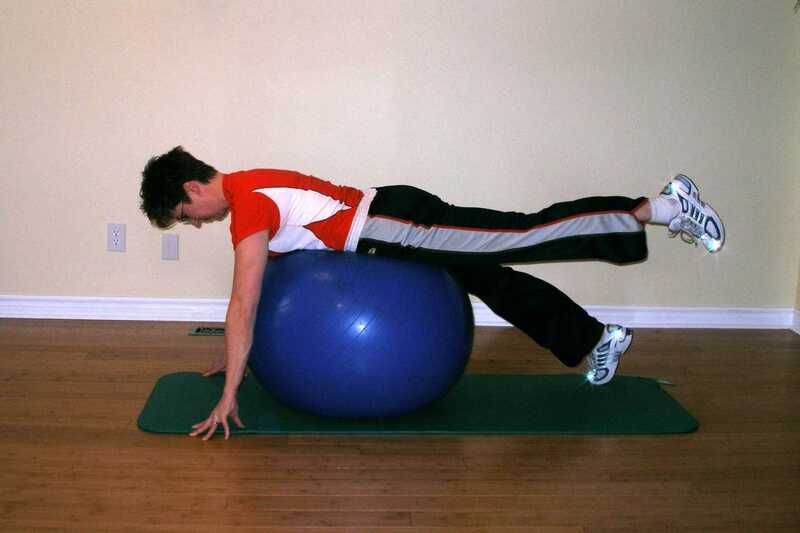 The exercise ball and relevant floor exercises for climbers lend themselves well to integrating endurance strengthening exercises with core strengthening. Be sure to supplement your rock climbing training program with adequate isotonic training for lats, rhomboids, and trapezius muscles using rowing and pull downs at differing angles of pull, unilaterally and bilaterally. This a great beginner core exercise for climbers. Scapular stabilizers as well as pelvic stabilizers are working hard to hold this position. You can add a level of difficulty by raising the upper foot straight to the ceiling, bring it forward 6 inches, back to the vertical, then back 6 inches, and back to the vertical, and then down to the other foot. I call these "T-raises"
This is a good exercise to bias abdominals and hip flexors while performing a closed kinetic chain exercise on the shoulders. Instability of the ball forces scapular stabilizers to work harder. Your ability to move your body over a stable shoulder means you need to know where your shoulder blade is relative to your rib cage and your humerus. This is an advanced move that requires scapular stability through a larger range of motion. Gluteal strength is important for pelvic and lower back stability. 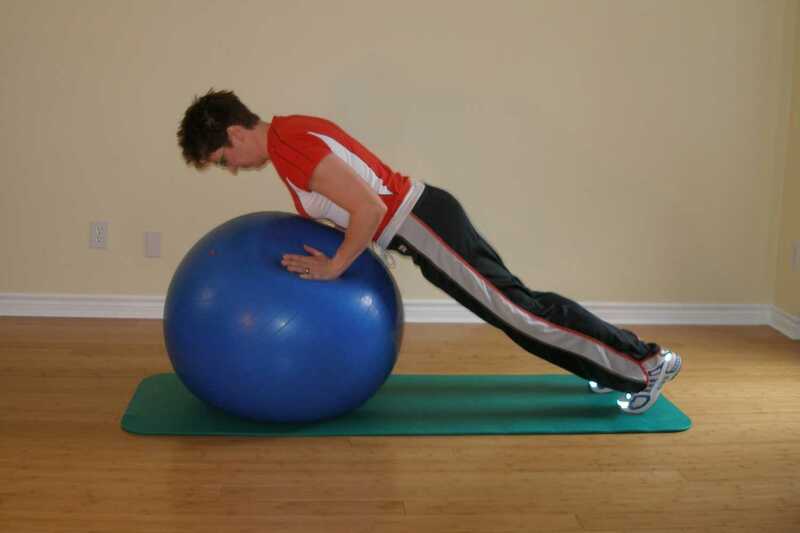 This another exercise to strengthen lateral pelvic stabilizers. This exercise integrates strengthening of the latissimus dorsi with the core.